There’s the usual touristy stuff you can do in London and then there’s the peculiar. 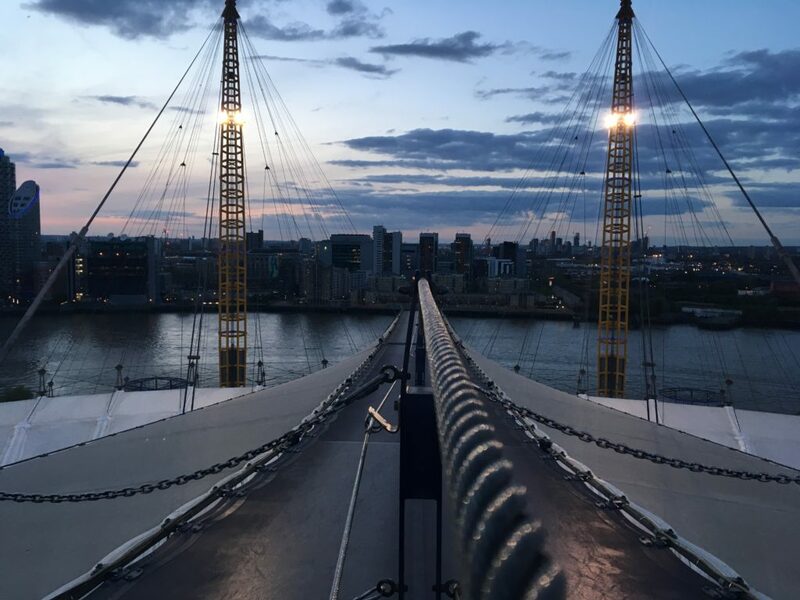 On top of the list of the peculiar is ‘climbing’ the 02 arena in London. Known to many as the Millenium Dome, the structure was an exhibition centre at the beginning of its life in which people could celebrate the year 2,000 (all I really remember is the ice rink and an arcade). 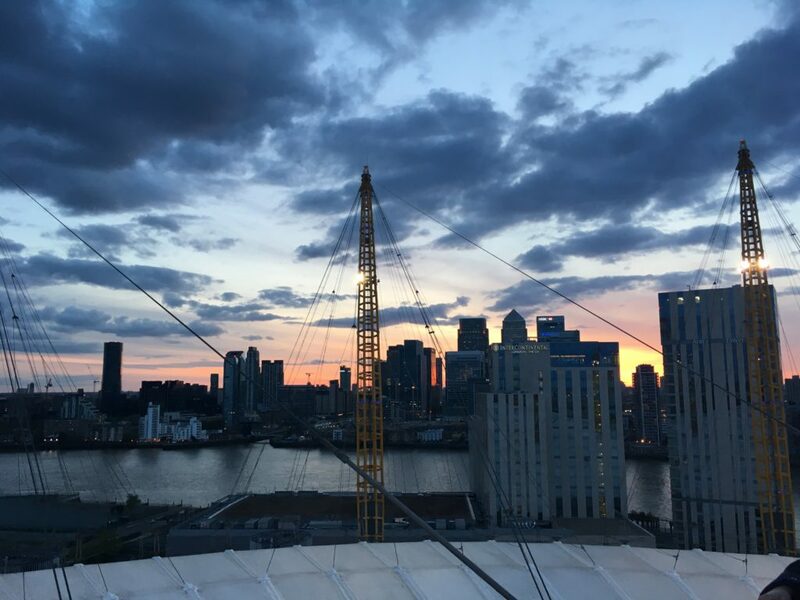 It has since been turned into the entertainment venue that we all know and love (think of The Killers, One Direction and the ATP World Finals which have all been held here). Well they’ve now gone one step further by allowing you to climb it. Yes actually climb it. You get to wear a suit and everything. 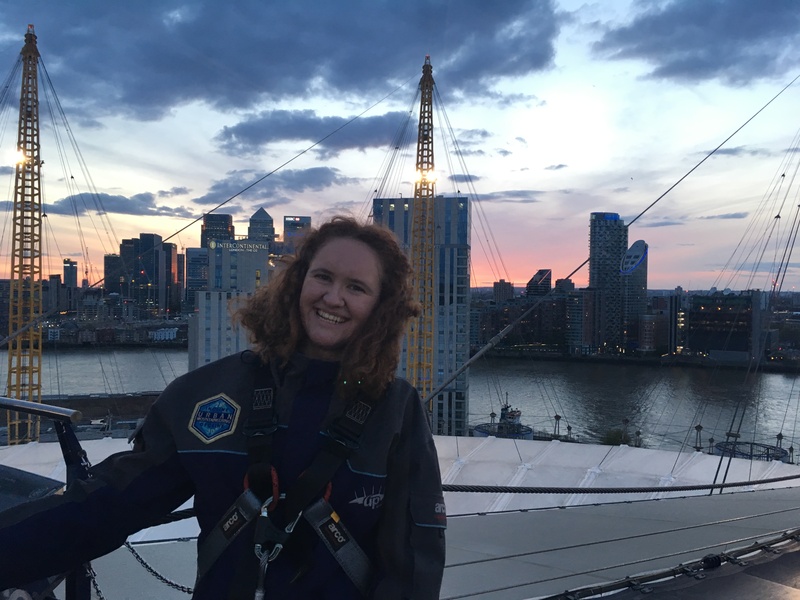 It was given to me as part of my birthday present from my mum who opted for the sunset tour – it was a good shout as we got to see the sunset over Canary Wharf. I’m not going to lie, it was a bit hyped up at the beginning, probably to make you feel a bit nervous. 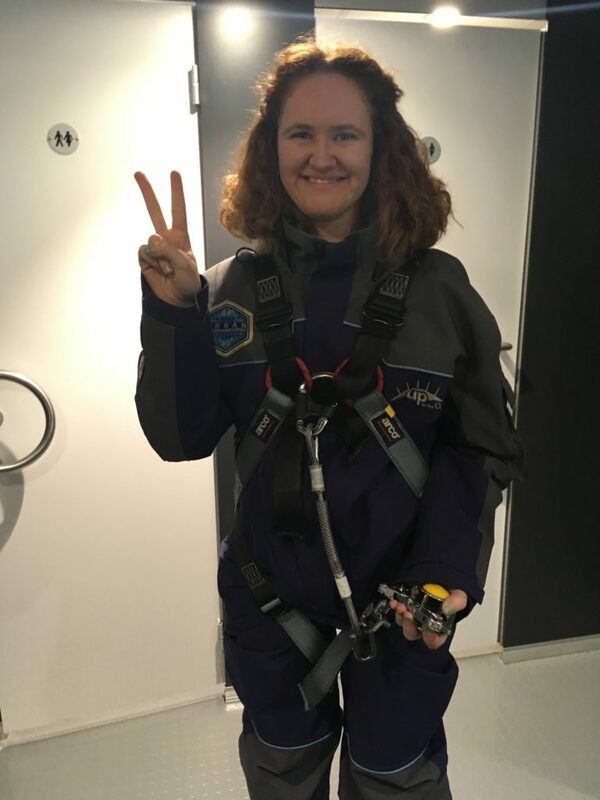 When I got there I felt like they were launching me into space but I think it’s just all part of the experience. There were 30 of us in total led by two experienced climbers who explained to us what would happen, what we had to wear and how we could be securely clipped to the side of the walkway. You could either wear a jacket or a suit and I opted for the suit because it looked a little chilly at the top. Thankfully I wasn’t the only one. I didn’t want to look like a wimp on the top being the only one wearing a suit! We had to clip ourselves on to the meal stands on the walkway and then keep hold of the clip to move forwards – it was quite a lot to think about! And then there was the climb bit itself and it is actually a big climb. They say the gradient is around 30 degrees but at some points it definitely feels like more than that. And then when we got to the top we had some time to take in the sights, from Canary Wharf to Greenwich and City Airport. Having lived in London on and off for four and a half years, it was an interesting way to see the city and also test my knowledge on the capital’s skyline. And then of course it got you thinking about where to go for the next tourist experience – London just kind of does that to you. There’s something good about being a tourist in your own city once in a while, you get to view it in a completely different light. That’s why I always enjoy trips to the Skygarden or walks along the Thames. It’s nice to see London from a non worky point of view. By the time we managed it down to the bottom, the sun had set and London was lit up at night. We almost wanted to go again. It’s one of those experiences where you think of all the people you could take with you just so that you can give it another go! You can book the ‘Up at the 02’ online and it appears to be on all day come rain or shine. No need to worry about shoes etc as you all get given them. Enjoy! "I really want to go to……Almeria"
"Hiking up Adelaide’s Mount Lofty"
are you not allowed to bring your own camera like a gopro ? would like to have my own individual photo and not a group picture of other people also doing the climb. You’re allowed to bring a small camera but it can only be used at the beginning of the walk and the top of the platform. I overheard them saying that they are looking to allow Gopro cameras in the future.